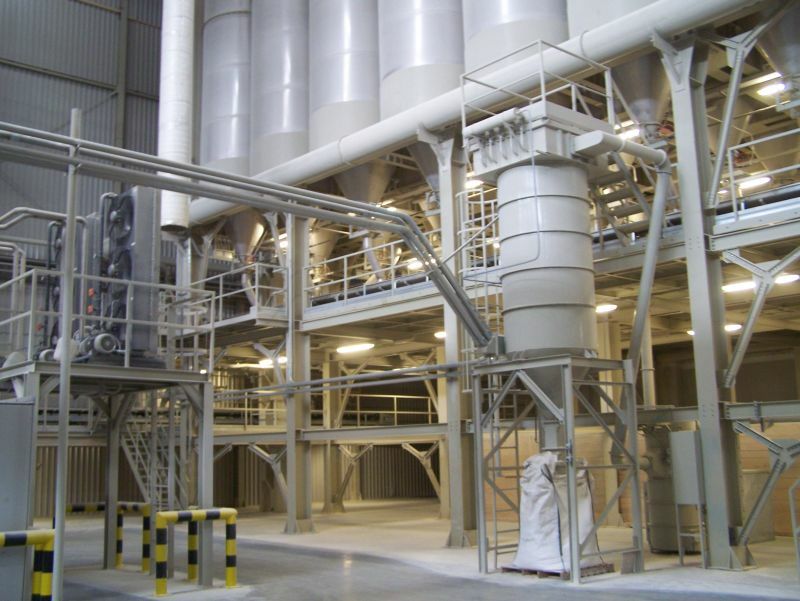 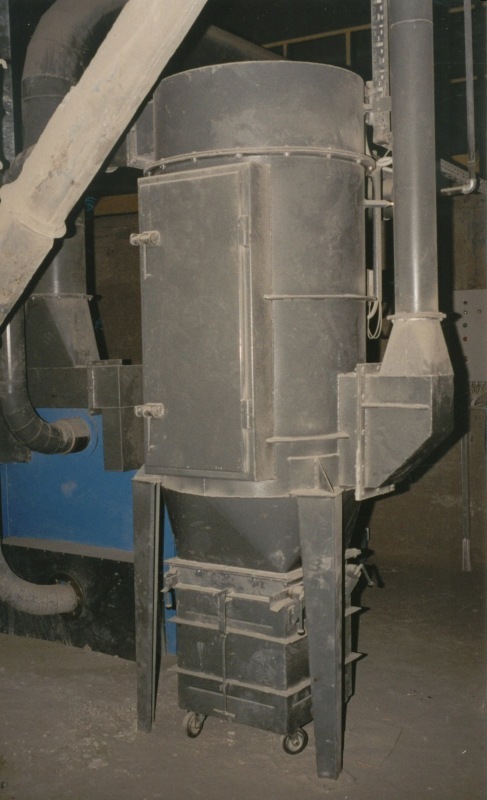 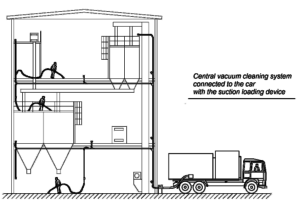 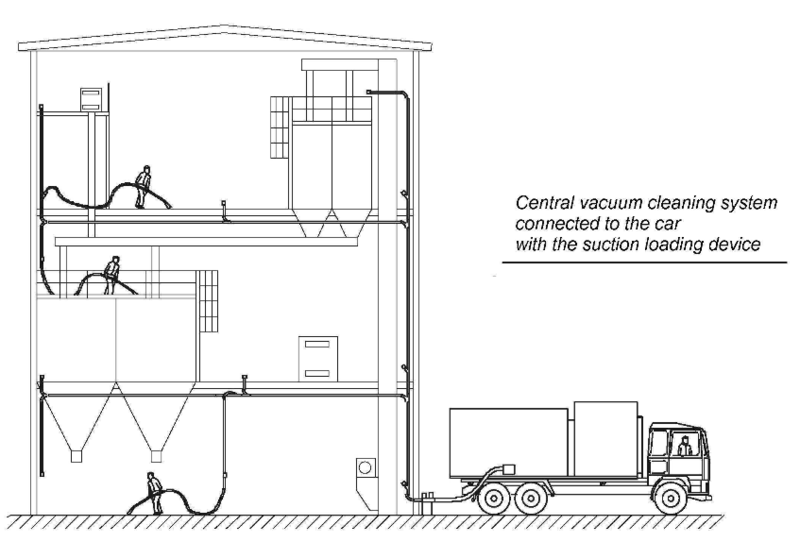 Industrial vacuum cleaning systems projected by ZTO are designed to work in heavy industries and tough environments where necessary is efficient and powerful equipment for cleaning excessive amounts of dust. 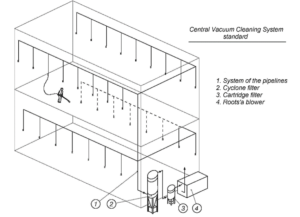 In option I the system consists of a device that generates high negative pressure (ca. 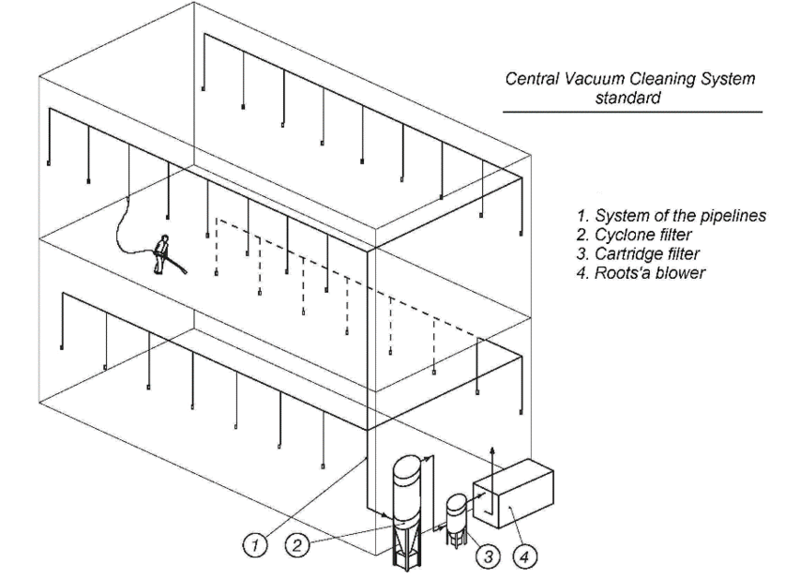 0.5 bar), which is most frequently a Roots rotary blower operating in negative pressure, a cyclone filter that collects dust, a cartridge filter that protects blower pistons, and a pipeline system with branches ended with small flap closures. 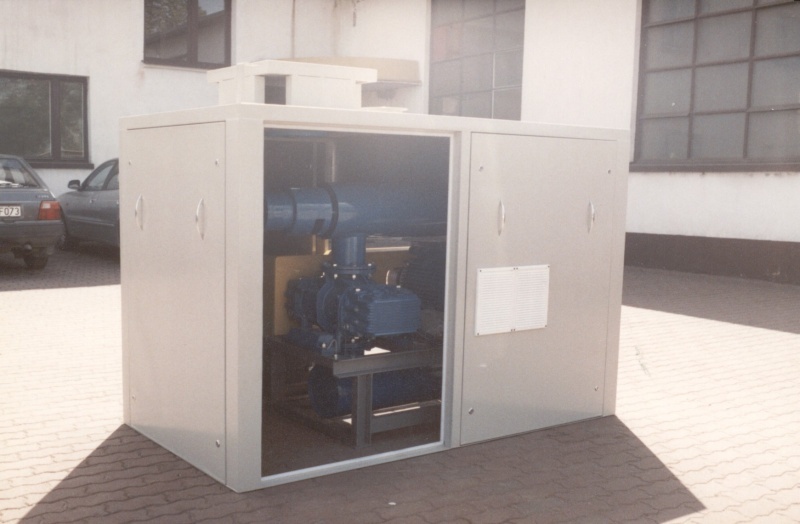 The cyclone filter is equipped with a control cabinet drived with Δp.